NBC’s political director Chuck Todd asked the question: Did President-elect Donald J. Trump win the election or did Hillary Clinton lose it? Both are correct answers, though, of course, Trump won. In fact, he pummeled Clinton in the Electoral College, which is projected to be 306-232. Yes, Clinton may be winning the popular vote, which has driven liberals mad in the past few days, but it’s the states that matter in our elections—and she fell short because Clinton couldn’t get her base to come out. For Florida, Trump won that state outright. Clinton actually got almost 250,000 more votes than Obama did in 2012, but Trump overperformed, driving up turnout that netted him 442,000 more votes than Mitt Romney. Yet, Wisconsin, Chuck added, is a different story. The Obama coalition stayed home. Todd added that Trump virtually got the same amount of votes as Mitt Romney in the Badger State, but Clinton got 239,000 fewer votes than Obama. In Milwaukee, she got 43,000 fewer votes than Obama. Todd noted that the Clinton camp was counting on the city to turnout big league for Clinton. They were wrong. Trump won the state by 27,000 votes—and Milwaukee could’ve made the difference. In the 10 most competitive swing states, Clinton underperformed Obama’s 2012 tally by nearly 1.2 million votes. Besides Pennsylvania and Michigan, she became the first Democratic presidential candidate since 1984 to lose Wisconsin. Democrats turned out a record number of voters in the nation’s largest urban areas and did well in traditional swing counties such as Chester and Montgomery counties in Pennsylvania, home to some of the all-important Philadelphia suburbs. But Clinton lost other rural and small-town counties in Pennsylvania and in other crucial states to Trump by a much larger margin than Obama did in 2012. Clinton scored better than Obama in just one of the 36 Pennsylvania counties with populations of less than 100,000. Florida was one of the few states where Clinton’s total outpaced Obama statewide. Clinton outperformed Obama and beat Trump by 853,000 votes in the five counties with populations over 1 million residents — Miami-Dade, Broward, Palm Beach, Hillsborough and Orange. Obama had won those counties by a combined 695,000 votes. But Trump outperformed Romney by a wider margin: In the 31 counties with populations between 100,000 and 1 million, Trump won by 801,000 combined votes — 300,000 more than Romney’s margin four years ago. Trump beat Clinton by 171,000 votes in Florida counties with fewer than 100,000 residents, improving on Romney. Overall, Trump won Florida by about 220,000 votes. Clinton over-performed Obama’s Michigan vote total in just six counties, centered around the growing cities of Grand Rapids, Ann Arbor — where Obama held a last-minute get-out-the-vote rally before polls opened — and Battle Creek. Trump, on the other hand, over-performed Romney in 75 of the state’s 83 counties. Virginia illustrates the drop-off between Obama’s performance and Clinton’s among black voters. In seven jurisdictions in which black voters make up a majority, Clinton received fewer votes than Obama did in all but one: Richmond city. In Philadelphia, which is 44 percent African-American, Clinton’s margin over Trump was 11,000 votes lower than Obama’s margin over Romney. Is this racism? No. The New York Times’ Nate Cohn noted, “Clinton suffered her biggest losses in the places where Obama was strongest among white voters.” Millions of Obama supporters voted for Trump. I doubt they became racist overnight. It’s not sexism either, really. Forty-two percent of women overall voted for Trump. Fifty-three percent of white women voted for Trump; 62 percent of white working class women voted for Trump. The white working class raised their hammer and shattered the bubble that keeps progressive, urban-based elite insular and snobby. Remember, these people don’t have college educations; they speak plainly. They may differ with the liberal agenda put out by liberal urbanites therefore they don’t matter. The overarching motivator for people who voted Trump this year was survival, fear of more economic pain, and class anger. The liberal elites telling working class men who have suffered in the Great Recession that they might need to enter work typically dominated by women, that women are becoming the new breadwinners, and that they should just accept it. In other words, we’re right, you’re wrong, backwards, and should be ashamed of yourself. The problem, as Joan Williams wrote in Harvard Business Review, is that elite men. Those lads in the bubble of D.C., New York, San Francisco, etc. are not being told to do the same thing. Hence, the class anger festers and grows. Williams also made a good note to point out that law enforcement is one of the few jobs where white working class families get a solid income and decent benefits. 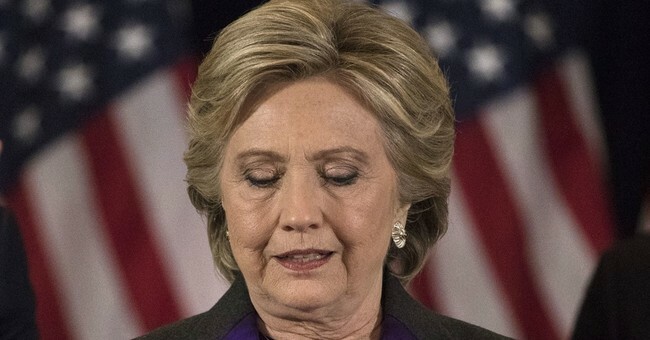 The urban-based elites has made it their personal sport to demonize law enforcement, declaring them racists, and part of the deplorable faction that Clinton railed against in the 2016 campaign; a description she has come to regret. At the same time, it offered another insight into progressive America: they hate the white working class. Williams added that this anti-police rhetoric is viewed as only one-way in these communities: racism and sexism are anathema to liberals, but classism is perfectly fine. If it’s not hatred, then it’s blissful ignorance of the pain that’s tormented these communities for years. These folks don’t care about minimum wage hikes, bathroom bills, or any of these pet projects the Left thinks makes them look like working class heroes and champions for the disadvantaged. The level of discontent and anger was totally off. As for Clinton, her campaign utterly failed to recognize that maybe Obama did really well…because he was President Obama. The president was popular going into Election Day in 2012. Clinton was not. Clinton was seen as the quintessential establishment character, a liar, dishonest, untrustworthy, and inauthentic. Trump was also flawed, but he wasn’t under FBI investigation during the campaign. He brought the aura of change that resonated with voters. The same feelings of change that denied Clinton the presidency in 2008 when she was defeated by then-Sen. Barack Obama. People didn’t want more of the same. The white working class saw Trump and latched on; millions of Obama supporters wanted change after eight years of disappointment and latched on; and the rest of the Democratic Party just couldn’t get enthused about her, which is ironic in the extreme. The first woman nominated by a major party that prides itself in progressive values, especially feminism, couldn’t get excited enough to vote for her in droves. Ouch.